Now that EMR has become commonplace in most medical practices, there have been many studies done on whether or not those practices are achieving a positive return on their investments, or ROI. Many are failing to achieve a positive ROI for the simple reason that they have failed to make the necessary changes within their practices. In fact, a survey in Massachusetts showed that only 27% of the practices that were surveyed have seen a positive ROI. While it's true that there have been incentives offered for the purpose of off-setting the cost of implementing EMR, ROI goals are still not being reached by many physicians because they haven't started properly utilizing their EMR systems properly. If you have found that you're not seeing the ROI you expected to see after implementation, it could be that there are some changes you need to make in your practice as well. Many practitioners are reluctant to let a portion of their staff go, even when they've implemented an EMR system that eliminates the need for some of their occupations. Perhaps you've found yourself facing some layoffs that are difficult to go through with. This is understandable, especially since you may have a significant history with some of your employees, and they've done great work. Even so, in order to see a positive ROI, EMR use requires that you reduce the amount of staff you have in your office. For some of your staff, that might mean restructuring their jobs to include other duties. For others it might result in eliminating their position altogether. Even though it's hard to restructure your staffing requirements, you'll find it to be very profitable for you in the long run. One of the problems many providers have that results in a lower ROI is failing to make use of all of the features of their EMR system. For example, many EMR systems have excellent billing software included, which not only allows for quicker reimbursement by insurance companies, but it also decreases the amount of billing errors that are made. Additional features such as E&M Coding, handwriting recognition and voice recognition can offer many benefits to your practice. 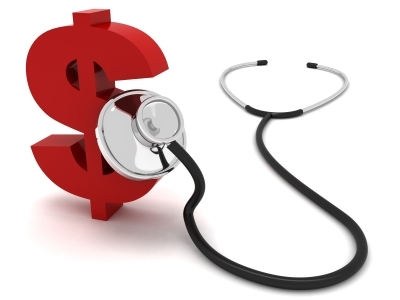 In fact, there are many features in EMR that will save you money, however unless you implement them in your practice, you won't see any savings in those areas. As surprising as it might sound, not all practitioners fully trust EMR, at least not enough to let go of old charting methods and billing practices. This might be for a few reasons, like poor training and poor implementation by the vendor. Continuing to use paper charts and billing methods will definitely increase the amount of money you spend on staff, equipment and supplies, which will not provide you with the results you were hoping to see with your EMR. Great results require a full commitment from your practice. Before long, you'll see an increase in patient flow as your patients receive even better care, as well as an improved ROI. Studies indicate that even though EMR implementation can be costly, as long as it's properly done, a tremendous ROI can be seen over time. Your EMR vendor should provide you with excellent training and complete understanding of all of your EMR system's benefits in order to equip you for success. If that hasn't been your experience, or if you've been putting off EMR implementation within your practice, we'd love to talk to you. Contact us for more information.